Viber, (www.viber.com) the leading mobile communications platform offering free messaging and HD-quality phone calls, today announced the release of Viber 5.0 for Android and iOS, along with new versions of its desktop application for Windows, Windows 8 and OS X. Viber 5.0 delivers some powerful new features and enhancements, including the ability to make video calls from your phone. 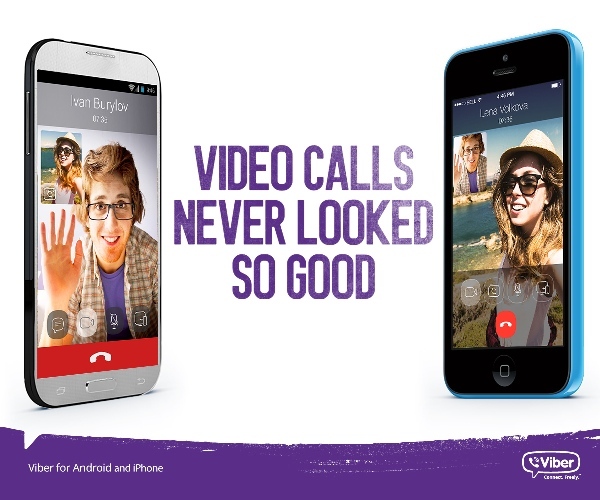 Viber is a pioneering mobile messaging, voice and video service. Viber lets everyone in the world connect. Freely. Users can send free text messages, fun stickers, photos, videos and doodles, share locations anywhere in the world, make free HD-quality phone and video calls and communicate with Push-To-Talk. With Viber Out, users can make low-cost calls to any phone number around the world. Viber is available for iPhone®, Android™ phones and tablets, Windows Phone, BlackBerry®, Blackberry® 10, Windows®, Windows 8®, Mac, Linux, Symbian, Nokia S40 and Bada devices over 3G/4G or WiFi connections. With over 400 million unique users and 608 million registered users in 193 countries, Viber is constantly innovating by introducing new platforms and adding fun new features. Viber is a Rakuten Group company.